[S796] Navarro County Cemetery Records, vol. 7 (Corsicana, Tex. : The Navarro County Gen. Soc'y, 1987), New Chatfield Cemetery survey, p. 11. [S585] Corsicana Daily Sun, Corsicana, Tex., online at http://www.corsicanadailysun.com viewed on 31 Aug 2000 (obituary of Lena Opal Montfort Ragan). Marriage*: He married Rena McCreary. [S585] Corsicana Daily Sun, Corsicana, Tex., online at http://www.corsicanadailysun.com viewed on 31 Aug 2000 (obituary of Lena Opal Montfort Ragan) (naming Isaac Vincent Miller as her father). Marriage*: She married Isaac Vincent Miller. [S585] Corsicana Daily Sun, Corsicana, Tex., online at http://www.corsicanadailysun.com viewed on 31 Aug 2000 (obituary of Lena Opal Montfort Ragan) (naming Rena McCreary as her mother). [S586] Vicky Hutchings, Lebanon, Tenn., e-mail address, family group record for Merady Queen and Sarah Lavinia Summey sent to Roger Bartlett, 29 Aug 2000 (naming George W. Queen as his father). [S586] Vicky Hutchings, family group record for Merady Queen and Sarah Lavinia Summey, above (naming Nancy McCall Newton as his mother). [S586] Vicky Hutchings, family group record for Merady Queen and Sarah Lavinia Summey, above. [S1010] Reiley Kidd, electronic mail to e-mail address, 19 Nov 2004, (giving his name as Meredith or Maraday). [S587] Vicky Hutchings, Lebanon, Tenn., e-mail address, family group record for Merady Queen and Winnifred Autta Neal sent to Roger Bartlett, 29 Aug 2000. [S1010] Reiley Kidd, electronic mail to e-mail address, 19 Nov 2004. [S586] Vicky Hutchings, family group record for Merady Queen and Sarah Lavinia Summey, above (naming Merady Queen as her father). [S586] Vicky Hutchings, family group record for Merady Queen and Sarah Lavinia Summey, above (naming Merady Queen as his father). [S587] Vicky Hutchings, family group record for Merady Queen and Winnifred Autta Neal, above, (naming Merady Queen as her father). [S587] Vicky Hutchings, family group record for Merady Queen and Winnifred Autta Neal, above, (naming Merady Queen as his father). [S586] Vicky Hutchings, Lebanon, Tenn., e-mail address, family group record for Merady Queen and Sarah Lavinia Summey sent to Roger Bartlett, 29 Aug 2000 (stating that she was born ca. 1821 in North Carolina). [S586] Vicky Hutchings, family group record for Merady Queen and Sarah Lavinia Summey, above (naming Sarah Lavinia Summey as her mother). [S586] Vicky Hutchings, family group record for Merady Queen and Sarah Lavinia Summey, above (naming Sarah Lavinia Summey as his mother). [S587] Vicky Hutchings, Lebanon, Tenn., e-mail address, family group record for Merady Queen and Winnifred Autta Neal sent to Roger Bartlett, 29 Aug 2000, (naming Leonard William Neal as her father). [S587] Vicky Hutchings, family group record for Merady Queen and Winnifred Autta Neal, above, (naming Frances S. Hobson as her mother). [S587] Vicky Hutchings, family group record for Merady Queen and Winnifred Autta Neal, above. [S587] Vicky Hutchings, family group record for Merady Queen and Winnifred Autta Neal, above, (naming Winnifred Autta Neal as her mother). [S587] Vicky Hutchings, family group record for Merady Queen and Winnifred Autta Neal, above, (naming Winnifred Autta Neal as his mother). Marriage*: He married Nancy McCall Newton. [S586] Vicky Hutchings, Lebanon, Tenn., e-mail address, family group record for Merady Queen and Sarah Lavinia Summey sent to Roger Bartlett, 29 Aug 2000. [S586] Vicky Hutchings, family group record for Merady Queen and Sarah Lavinia Summey, above (naming George W. Queen as his father). Marriage*: She married George W. Queen. [S1171] Peggy Morgan, charts and information sent to Roger Bartlett, 15 Oct 1992 (giving their names as Jake F. Queen and S. McDonald and not giving the date). [S1171] Peggy Morgan, charts and information sent to Roger Bartlett, 15 Oct 1992 (naming S. McDonald as her mother). Marriage*: He married Frances S. Hobson. 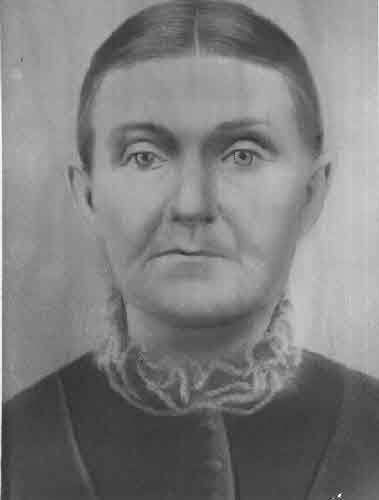 [S587] Vicky Hutchings, family group record for Merady Queen and Winnifred Autta Neal, above, (naming Leonard William Neal as her father). Marriage*: She married Leonard William Neal. [S586] Vicky Hutchings, Lebanon, Tenn., e-mail address, family group record for Merady Queen and Sarah Lavinia Summey sent to Roger Bartlett, 29 Aug 2000 (naming Merady Queen as her father). [S586] Vicky Hutchings, Lebanon, Tenn., e-mail address, family group record for Merady Queen and Sarah Lavinia Summey sent to Roger Bartlett, 29 Aug 2000 (naming Merady Queen as his father). [S587] Vicky Hutchings, Lebanon, Tenn., e-mail address, family group record for Merady Queen and Winnifred Autta Neal sent to Roger Bartlett, 29 Aug 2000, (naming Merady Queen as his father). [S587] Vicky Hutchings, Lebanon, Tenn., e-mail address, family group record for Merady Queen and Winnifred Autta Neal sent to Roger Bartlett, 29 Aug 2000, (naming Merady Queen as her father). [S589] Barbara Gussman, electronic mail to Roger Bartlett, 15 Dec 2000. [S591] Tammy Van Horn, electronic mail to Roger Bartlett, 10 Sep 2000 (naming James D. Estes as his father). [S592] The Estes and Van Horn Family Page (database LVH1903), online http://worldconnect.rootsweb.com, viewed on 5 Feb 2001. [S597] McDowell Cemetery, Bell Co., Tex., online ftp://ftp.rootsweb.com/pub/usgenweb/tx/bell/cemetery/mcdowell.txt, downloaded 2 Feb 2001 (giving only the date). [S591] Tammy Van Horn, electronic mail to Roger Bartlett, 10 Sep 2000. [S594] Worth S. Ray, Austin Colony Pioneers (1970; reprint, Baltimore: Genealogical Publishing Co., Inc., 1995), pp. 95, 159 (giving their names as Ed. T. Estes and Jane McDowell and stating that she was of Washington County; giving the date and suggesting that the license was issued in Washington County). [S598] The James C. Dillard Family, above, (giving only the date). [S591] Tammy Van Horn, electronic mail to Roger Bartlett, 10 Sep 2000 (naming Edmund T. Estes as his father). [S591] Tammy Van Horn, electronic mail to Roger Bartlett, 10 Sep 2000 (naming Edmund T. Estes as her father). [S591] Tammy Van Horn, electronic mail to Roger Bartlett, 10 Sep 2000 (naming James D. Estes as her father). [S628] Tommy Ingram, electronic mail to Roger Bartlett, 11 Jun 2001. [S628] Tommy Ingram, electronic mail to Roger Bartlett, 11 Jun 2001, (giving the date and speculating that she died in Obion County, Tennessee as she was believed to be living there with a granddaughter's family at the time of her death). [S628] Tommy Ingram, electronic mail to Roger Bartlett, 11 Jun 2001, (naming Louisa M. Estes as her mother). [S628] Tommy Ingram, electronic mail to Roger Bartlett, 11 Jun 2001, (naming Louisa M. Estes as his mother). [S628] Tommy Ingram, electronic mail to Roger Bartlett, 11 Jun 2001, (naming Thomas Searcy Mason as her father). [S628] Tommy Ingram, electronic mail to Roger Bartlett, 11 Jun 2001, (naming Thomas Searcy Mason as his father). [S591] Tammy Van Horn, electronic mail to Roger Bartlett, 10 Sep 2000 (stating that she never married). [S604] Tammy Van Horn, computer files sent to Roger Bartlett, 19 Feb 2001 (stating that she died of yellow fever). Other Names*: Josephine Estes, Josephine Bonapart Estes Hunter, Josephine Bonapart Hunter, Josephine Estes Hunter, Josephine Hunter. [S961] Find A Grave, online at http://www.findagrave.com, memorial for Josephine B. Hunter, memorial no. 91944244, viewed on 2 Sep 2013 (giving the date but not the place). [S961] Find A Grave, online, above, memorial for Josephine B. Hunter, memorial no. 91944244, viewed on 2 Sep 2013. [S592] The Estes and Van Horn Family Page (database LVH1903), online http://worldconnect.rootsweb.com, viewed on 5 Feb 2001 (naming Josephine Bonapart Estes as this child's mother). [S592] The Estes and Van Horn Family Page, above, viewed on 5 Feb 2001 (naming Josephine Bonapart Estes as his mother). [S1256] California Death Index, online at http://tinyurl.com/om9mmen, record for Percival N. Hunter, viewed on 2 Sep 2013 (stating that his mother's original surname was Estes). [S592] The Estes and Van Horn Family Page, above, viewed on 5 Feb 2001 (naming Josephine Bonapart Estes as her mother). [S961] Find A Grave, online, above, memorial for Eunice A. Hunter Sweet, memorial no. 35519096, viewed on 2 Sep 2013 (naming Josephine B. Hunter as her mother). [S723] Terry Frierson, electronic mail to Roger Bartlett, 3 Mar 2002, (naming Johnson Calhoun Hunter as his father). [S723] Terry Frierson, electronic mail to Roger Bartlett, 3 Mar 2002, (naming Mary Martha Harbert [or Herbert] as his mother). [S592] The Estes and Van Horn Family Page (database LVH1903), online http://worldconnect.rootsweb.com, viewed on 5 Feb 2001 (naming Thomas Johnson Hunter as this child's father). [S592] The Estes and Van Horn Family Page, above, viewed on 5 Feb 2001 (naming Thomas Johnson Hunter as his father). [S592] The Estes and Van Horn Family Page, above, viewed on 5 Feb 2001 (naming Thomas Johnson Hunter as her father). [S961] Find A Grave, online at http://www.findagrave.com, memorial for Eunice A. Hunter Sweet, memorial no. 35519096, viewed on 2 Sep 2013 (naming Thomas Johnson Hunter as her father). [S595] Anthony J. Christensen, A Branch of the Piscataway Dunn Family, p. 5.6 (naming James D. Estes as his father). [S1215] Diane Ellington, family group sheet for James M. B. Estes family, 1 Oct 2000 (naming James D. Estes as his father). [S595] Anthony J. Christensen, A Branch of the Piscataway Dunn Family, p. 5.6 (naming Eunice Williams as his mother). [S1215] Diane Ellington, family group sheet for James M. B. Estes family, 1 Oct 2000 (naming Eunice Williams as her mother). [S591] Tammy Van Horn, electronic mail to Roger Bartlett, 10 Sep 2000 (giving the year and no other details). [S595] Anthony J. Christensen, A Branch of the Piscataway Dunn Family, p. 5.6 (stating that he was born on 17 Jan 1827 in Alabama). [S1215] Diane Ellington, family group sheet for James M. B. Estes family, 1 Oct 2000. [S595] Anthony J. Christensen, A Branch of the Piscataway Dunn Family, p. 5.6 (giving the date and state and not naming the county). [S595] Anthony J. Christensen, A Branch of the Piscataway Dunn Family, p. 5.6 (naming James M. Estes as her father). [S628] Tommy Ingram, electronic mail to Roger Bartlett, 11 Jun 2001, (naming James M. R. Estes as her father). [S1215] Diane Ellington, family group sheet for James M. B. Estes family, 1 Oct 2000 (naming James M. B. Estes as her father). [S595] Anthony J. Christensen, A Branch of the Piscataway Dunn Family, p. 5.6 (naming James M. Estes as his father). [S1215] Diane Ellington, family group sheet for James M. B. Estes family, 1 Oct 2000 (naming James M. B. Estes as his father). [S595] Anthony J. Christensen, A Branch of the Piscataway Dunn Family, pp. 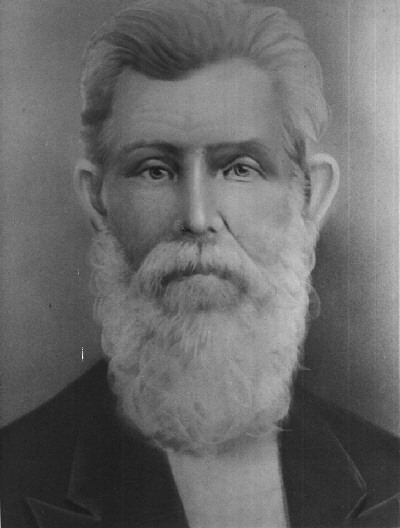 5.6-7 (naming James M. Estes as his father). [S595] Anthony J. Christensen, A Branch of the Piscataway Dunn Family, pp. 5.6-7 (naming James M. Estes as her father). [S591] Tammy Van Horn, electronic mail to Roger Bartlett, 10 Sep 2000 (naming William McDowell as Edmund T. Estes's father-in-law). [S598] The James C. Dillard Family (database jody44), online http://worldconnect.rootsweb.com, (naming William McDowell, Sr. as her father). [S598] The James C. Dillard Family, above, (naming Margaret Mary Campbell as her mother). [S598] The James C. Dillard Family, above. [S591] Tammy Van Horn, electronic mail to Roger Bartlett, 10 Sep 2000 (stating that she died soon after the birth of her daughter). [S591] Tammy Van Horn, electronic mail to Roger Bartlett, 10 Sep 2000 (naming Margaret Jane McDowell as his mother). [S591] Tammy Van Horn, electronic mail to Roger Bartlett, 10 Sep 2000 (naming Margaret Jane McDowell as her mother). Other Names*: Bill Estes, Billy Estes. [S597] McDowell Cemetery, Bell Co., Tex., online ftp://ftp.rootsweb.com/pub/usgenweb/tx/bell/cemetery/mcdowell.txt, downloaded 2 Feb 2001 (giving only the date and giving his name as James W. Estes). [S597] McDowell Cemetery, Bell Co., Tex., online, above (giving his name as James W. Estes). [S592] The Estes and Van Horn Family Page, above, viewed on 5 Feb 2001 (naming James William Estes as his father). [S592] The Estes and Van Horn Family Page, above, viewed on 5 Feb 2001 (naming James William Estes as her father). [S592] The Estes and Van Horn Family Page, above, viewed on 5 Feb 2001 (naming Colbraith Perry Estes as her father). [S604] Tammy Van Horn, computer files sent to Roger Bartlett, 19 Feb 2001 (naming Margaret Ann Estes as her mother). [S604] Tammy Van Horn, computer files sent to Roger Bartlett, 19 Feb 2001 (naming Margaret Ann Estes as his mother). [S591] Tammy Van Horn, electronic mail to Roger Bartlett, 10 Sep 2000 (giving only the date). [S597] McDowell Cemetery, Bell Co., Tex., online, above (giving only the year and not naming the place). [S598] The James C. Dillard Family, above, (giving the date and county but not naming the place). [S597] McDowell Cemetery, Bell Co., Tex., online, above. [S591] Tammy Van Horn, electronic mail to Roger Bartlett, 10 Sep 2000 (naming Sarah Ann McDowell as his mother). [S591] Tammy Van Horn, electronic mail to Roger Bartlett, 10 Sep 2000 (naming Sarah Ann McDowell as her mother). Robert T. Estes, from Monty and Tammy Van Horn's Family Page web site. [S604] Tammy Van Horn, computer files sent to Roger Bartlett, 19 Feb 2001 (naming Robert Turner Estes as his father). [S604] Tammy Van Horn, computer files sent to Roger Bartlett, 19 Feb 2001 (naming Robert Turner Estes as her father). [S598] The James C. Dillard Family, above, (naming William McDowell, Sr. as her father). [S598] The James C. Dillard Family, above, (naming William McDowell, Sr. as his father). [S597] McDowell Cemetery, Bell Co., Tex., online ftp://ftp.rootsweb.com/pub/usgenweb/tx/bell/cemetery/mcdowell.txt, downloaded 2 Feb 2001 (giving only the year and not naming the place). [S592] The Estes and Van Horn Family Page (database LVH1903), online http://worldconnect.rootsweb.com, viewed on 5 Feb 2001 (naming John Thomas Estes as his father). [S592] The Estes and Van Horn Family Page, above, viewed on 5 Feb 2001 (naming John Thomas Estes as this child's father). [S592] The Estes and Van Horn Family Page, above, viewed on 5 Feb 2001 (naming John Thomas Estes as her father). Other Names*: Josephine Louvenia Estes Fuller, Josephine Louvenia Fuller, Josephine Estes Fuller, Josephine Fuller, Mrs. M. A. Fuller. • Her Find A Grave memorial, which includes a picture of her gravestone (inscribed "Mrs. M. A. Fuller"), is here. [S597] McDowell Cemetery, Bell Co., Tex., online ftp://ftp.rootsweb.com/pub/usgenweb/tx/bell/cemetery/mcdowell.txt, downloaded 2 Feb 2001 (giving the date but not the place). [S961] Find A Grave, online at http://www.findagrave.com, memorial for Josephine Louvenia Estes Fuller, memorial no. 73936108, viewed on 19 Oct 2018. [S961] Find A Grave, online, above, memorial for Josephine Louvenia Estes Fuller, memorial no. 73936108, viewed on 19 Oct 2018 (giving the year but no other information). [S961] Find A Grave, online, above, memorial for Mabry Ancil Fuller, memorial no. 73936189, viewed on 19 Oct 2018 (giving the year but no other information). [S961] Find A Grave, online, above, memorial for Josephine Louvenia Estes Fuller, memorial no. 73936108, viewed on 19 Oct 2018 (naming Belton, Bell County, Texas as her place of death). [S604] Tammy Van Horn, computer files sent to Roger Bartlett, 19 Feb 2001 (citing Temple Daily Telegram). [S592] The Estes and Van Horn Family Page (database LVH1903), online http://worldconnect.rootsweb.com, viewed on 5 Feb 2001 (naming Josephine Louvinia Estes as her mother). [S604] Tammy Van Horn, computer files sent to Roger Bartlett, 19 Feb 2001 (naming Josephine Louvenia Estes as her mother). [S604] Tammy Van Horn, computer files sent to Roger Bartlett, 19 Feb 2001 (naming Josephine Louvenia Estes as his mother). 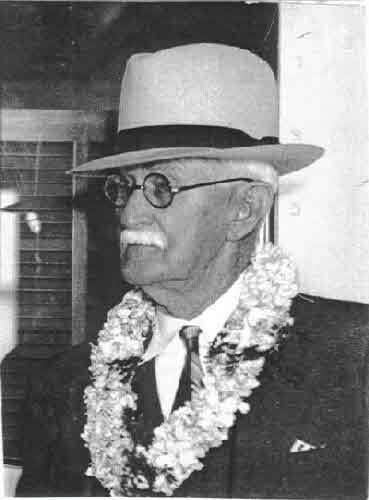 [S961] Find A Grave, online, above, memorial for Clarence Lee Fuller, memorial no. 73936069, viewed on 19 Oct 2018 (naming Josephine Louvenia Estes as his mother). [S604] Tammy Van Horn, computer files sent to Roger Bartlett, 19 Feb 2001 (naming Josephine Louvenia Estes as this child's mother).